Stay cool at home or in the office with this handy 12″ Desk Fan from Benross. Desk fans are ideal for anyone looking to stay comfortable while they work. The 43920 features a selection of 3 operating speeds with oscillation and tilt settings so that the cool air can be circulated throughout the room. With its tilt function this desk fan allows you to direct the cooling air flow exactly where you want it. 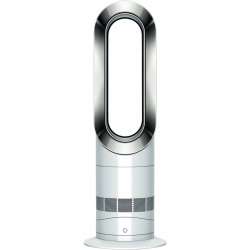 The 43920 12″ Desk Fan is designed with a mesh guard, a real safety essential. Keep your home or work space fresh and comfortable with the 12″ Desk Fan.